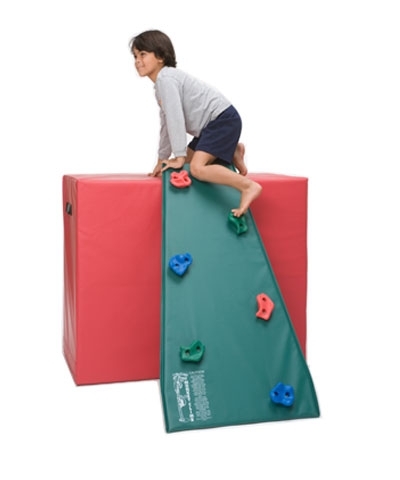 The Adventure Monkey Crawl Tunnel is a 24"x79" Preschool Gymnastics and Movement Education Play Tunnel. 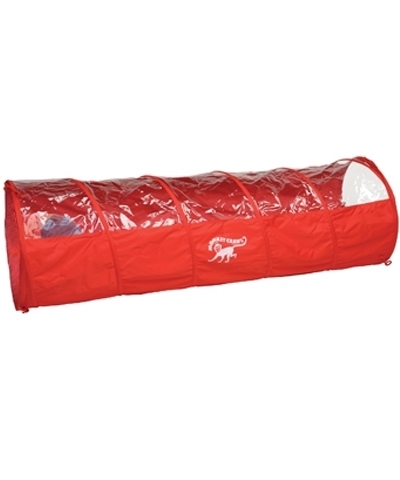 Constructed of Strong Durable 600 denier Red FR nylon fabric and features a clear vinyl window for easy viewing. The tunnel coils are made of high quality spring steel and padded for added safety and crawling comfort. Collapses flat for storage and includes straps to secure in flat position. 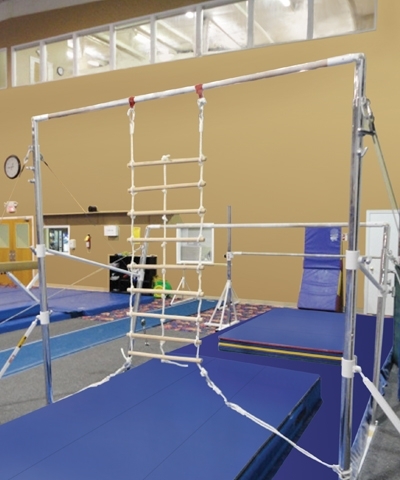 Each end includes 3 straps so two tunnels can be tied together to create a longer tunnel. Clear window for easy viewing. Not to be used as a tent. For Gym School or Preschool use only. Also makes a durable Dog Agiltiy Tunnel. The Strongest Most Durable Play Tunnel made.